Take your paintings to the next level with these unconventional palette knife styles featuring new unique shapes and a special water-resistant mirror blade. They are great for use with all relief pastes such as mortar, gels (matt gel, heavy gel), modeling pastes, and gesso. 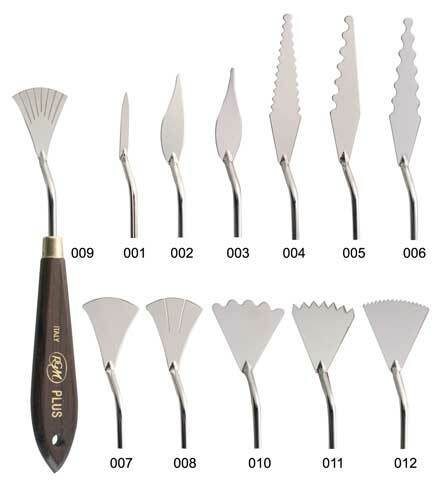 These specially shaped knives can also be used when painting with acrylics and oils to obtain “relief” effects with a variety of thicknesses and layers. Available with high-quality bubinga wood handles.